The weekslong partial federal government shutdown has made morning commutes significantly quieter, a new regional analysis found. WASHINGTON — The weekslong partial federal government shutdown has made morning commutes significantly quieter, a new regional analysis found. 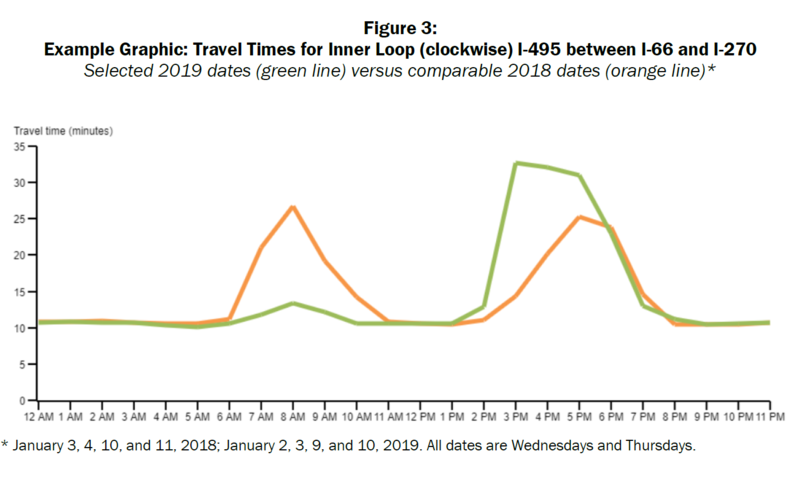 “The most significant differences were seen in the morning peak periods, for ‘inbound’ directions,” the initial analysis from the National Capital Region Transportation Planning Board found. “Speeds and congestion for other times of day, including evening rush hours, and for nonpeak directions, were not found to be significantly different,” a memorandum to be presented Wednesday said. About 40 percent of federal workers in the Washington region are affected by the partial shutdown, the Metropolitan Washington Council of Governments said, which amounts to about 145,000 people. A significant number of the more than 400,000 federal contractors in the region are also affected. The significant morning speed increases in many parts of the region suggest January traffic during the partial shutdown has become more like a typical July or August — with less of a morning rush, but similar or increased congestion during afternoon hours. The review comes with the caveats that the quick turnaround means it does not account for other factors that could have changed between last year and this year, such as weather, crashes, construction, gas price and school schedule differences. If the shutdown goes on longer, additional data could provide more refined information. 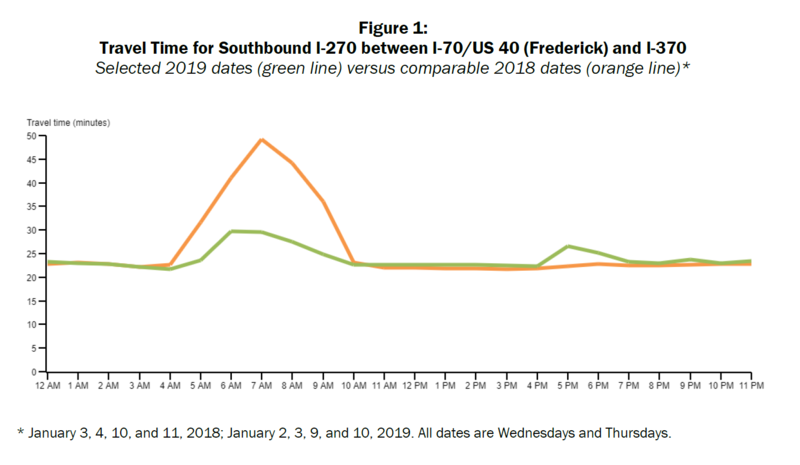 Still, drivers going south on Interstate 270 from Interstate 70 in Frederick to Interstate 370 in Shady Grove saw an average trip on Wednesdays and Thursdays so far this month of 29 minutes around 7 a.m., compared with 49 minutes for the 23.7-mile trip on the same days last year. Crossing over the American Legion Bridge from I-270 to Interstate 66 in Virginia, trips that took 21 minutes last year around 7 a.m., took just 12 minutes this month, a 43 percent improvement. It was significantly faster in the other direction too. 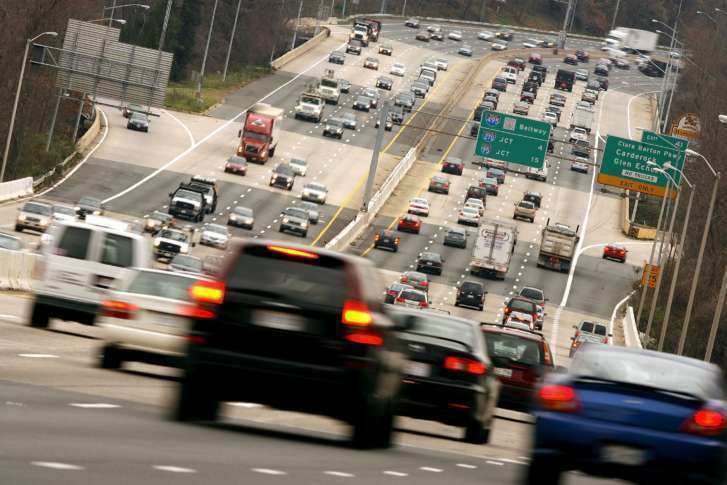 Interstate 95 from Virginia 234 to Franconia Road was 4 minutes, or 13 percent, faster. Interstate 395 from the Beltway into New York Avenue in the District was 3 minutes, or 12 percent, faster. Speed increases were up to 25 mph on some highways compared with the same time last year. In the afternoon, some of those same roads were slower than the same time last year, though, with afternoon travel between Interstate 66 and Interstate 270 over the Legion Bridge, for one example, significantly slower than last year between 2 p.m. and 6 p.m.
Metrorail ridership has also been down during the shutdown, which has meant less crowding on some trains at certain times but also threatens Metro’s fragile budget. To avoid disruptions for the significant number of remaining riders that would risk turning them off long-term, Metro has not yet made any major changes to schedules. A few areas saw little or no change in traffic based on the data analyzed, though, including I-66 in the morning from Route 28 to the Beltway, where significant toll lane construction is going on.